Beautifully remodeled 4 bedroom, 3 bath, 3 car garage home situated in the quiet gated community of La Rochelle. 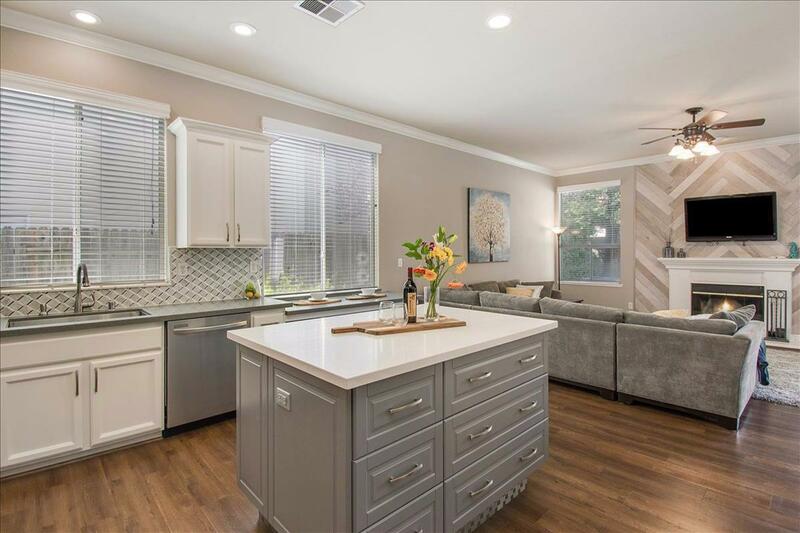 Gorgeous Kitchen w/quartz counters, custom designer backsplash, large island, white cabinets, newer appliances which opens to the large family room with stunning wood accent wall fireplace. Home is updated in neutral colors, wood laminate floors, soothing wall paint and new quartz counters in bathrooms. Perfect sized yard, great for entertaining and enjoying your family and friends. Close to miles of walking trails and neighborhood park. Highly rated schools within walking distance. Easy access to grocery shopping and freeway access. Come take a look at this amazing home today!